in a unique and profound way. These are the gifts that truly are priceless! 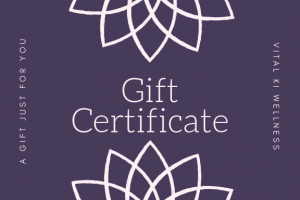 Give the gift of healing, peace, relaxation, connection, rejuvenation, and a new experience. This Treatment is tailored and catered to the individual receiving the treatment. Each Treatment is tailored for and catered to the individual receiving the treatment. Email Confirmation, and receipt will be emailed when Gift certificate is purchased. Sessions are to be booked in advance only. Dane Osorio is a healing artist and holistic practitioner. Aligned to his mission of supporting people on their journeys of awakening and healing. Dane takes a heart centred approach to helping people so they can live more conscious, abundant and fulfilling lives. Dane’s focus is on teaching and sharing a wide range of holistic practices, and healing modalities. Dane creates and holds space through various modalities, classes, events, retreats and private sessions in Canada and Internationally. 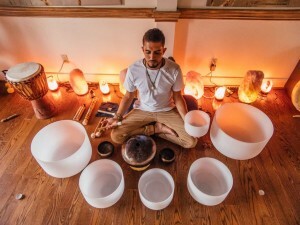 His offerings give participants an opportunity to connect, heal, and evolve, raising vibrations on a mind, body and spiritual level. Healing, learning and evolving have been a big part of Dane’s journey. Through daily self healing practices, teachings from Masters, Shamans, plant medicines, other healers and life experiences. Dane walks his talk and serves from an aligned and authentic place. Co- owner of a Vital Ki Wellness and co-founder of WokeAF.ca, Dane is also very passionate about building community and tribe of open, like-minded and open, like-hearted people of all ages. Dane has been in the health and wellness industry for over a decade. During that time he has facilitated in numerous circles and has connected with hundreds of people and curated a wealth of unique and powerful conscious offerings. He is also a facilitator with the Youth Wellness Network, co-creating and sharing mental health and wellness tools and initiatives to kids in schools from grades 5 – 12. Dane holds certifications in Osteopathy, Reiki, Yoga, Fascial Stretch Therapy, Meditation Teachings, Youth Wellness Facilitation, and is also a Marriage Officiant in his home province of Ontario. Treating, teaching and facilitating locally and abroad, Dane’s work spans many different levels, sharing knowledge, wisdom and experiences that can help those on their journey. 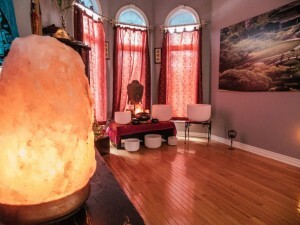 Dane is devoted to supporting those who are open to connection, exploration of self, healing and transformation. His motto is “#letsevolvetogether”. Email Confirmation and Receipt will be emailed when Gift certificate is purchased. Sessions are to be booked in advance only.